The class of drugs primarily used to lower cholesterol are commonly called statins. These include, Lipitor (atorvastatin), Pravachol (pravastatin), Crestor (rosuvastatin), Zocor (simvastatin), Lescol (fluvastatin) and Vytorin (a combination of simvastatin and ezetimibe). Statins work by suppressing a specific enzyme (HMG-CoA reductase) in the liver, which is involved in the production of cholesterol. Since their introduction in the 1980s, they have helped to significantly reduce the rate of coronary heart disease and cardiac mortality. These medications are commonly prescribed for patients who have been unable to control their cholesterol levels through lifestyle changes alone. 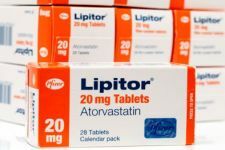 Initially called “a miracle drug” due to their ability to lower LDL (what we think of as “bad” cholesterol) and increase production of HDL (the “good” cholesterol), statins have become a Go-To drug for doctors working to lower a patient's risk of heart attack and stroke. More than 20 million patients are prescribed statins each year in the US alone. However, recent studies have found a link between statins and memory loss, calling into question the wisdom of using statins for prevention when no cholesterol imbalance is present. This increased risk of Diabetes and Memory Loss in patients taking statins, led the FDA to require new warning labels on the medications in early 2012. Under normal, healthy conditions, cholesterol is not a danger to the body, rather it is a naturally-occurring substance which helps insulate nerve cells. Our livers produce about 75% of all the cholesterol in our bodies while the other 25% comes from the foods we eat, specifically meats. Both LDL (“bad” cholesterol) and HDL (“good” cholesterol) are produced in the liver and move throughout our bloodstream. LDL is considered “bad” cholesterol because it can stick to the walls of arteries, causing them to become less efficient and ultimately clogged. This leads to heart attack and stroke. HDL is seen as “good” cholesterol because it prevents LDL cholesterol from attaching to artery walls, keeping bloodflow at a maximum. The enzyme HMG-CoA reductase is responsible for producing LDL cholesterol in the liver. Statins mimic this enzyme, thereby slowing down cholesterol production. These drugs can reduce LDL levels by up to 55% and increase HDL levels up to 15%. Some studies have shown that statins can actually help the body absorb accumulated cholesterol, unclogging the arteries and reversing the progression of heart disease. Along with cholesterol control, statins have been found to lower the risk of esophageal cancer and Alzheimer's disease. There is currently conflicting research regarding the link between statins and memory loss. Many doctors believe that the health gains of lowered LDL and elevated HDL cholesterol is worth the limited risk of cognitive side effects. In patients whose cholesterol cannot successfully be controlled through lifestyle changes, these drugs may make the difference between life and death. Cardiovascular disease remains the leading cause of death in adults worldwide and elevated LDL cholesterol is one of the primary factors in heart disease today. One of the unexpected side-effects of statins is their effect on an essential group of cells within the brain. These cells (called “glial progenitor cells) are special in that they can be customized to suit a particular purpose, morphing into whatever kind of cell is in short supply. In 2008, researchers found that introducing statins into the body causes glial progenitor cells to lose their flexibility, meaning they no longer function as brain's reserve of multi-purpose cells. It is unclear if this is related to the memory issues linked to the drug class, but researchers continue to study the long-term effects of the reduction in these crucial cells. In February of 2012, The FDA ordered that memory loss be added to the warning labels on statins. The new labels note that some people have reported cognitive impairments such as confusion and memory loss while taking statins. The good news is that this is a possible side effect rather than a probable one and in most cases, symptoms subsided when the patients stopped taking the medication. A similar label, now required on all statins informs users that the drug also increases their risk of high blood sugar which could lead to Type 2 Diabetes. While the prevention of Diabetes is important, the net gains in reducing chance of heart disease and stroke often outweigh the elevated Diabetes risk. If you are already taking one of the medications in the statin family and want to prevent memory loss, there are a number of things you can do to stimulate your brain and encourage memory retention. Memory-boosting puzzles and games like crosswords and soduku build your mental muscles. Engaging in learning activities and physical exercise actually creates new neural pathways, strengthening the brain and enhancing both short and long-term memory. Eating more fish, whole grains, fresh fruits and vegetables will also nourish your brain. Many activities and behavioral choices that boost cognition also reduce LDL cholesterol levels within the body. The Omega 3 fatty acids found in fish profoundly decrease cholesterol output while soluble fiber soaks it up in the digestive tract. Fresh fruits and vegetables, green tea and nuts all work to reduce LDL (bad) cholesterol while a glass or two of wine can raise your HDL (good) cholesterol levels. As you make these changes you may find that you no longer even need medication to control your cholesterol. Only your doctor can make the recommendation to lower the dosage or stop the medication altogether, but there is much you can do to improve your chances of achieving healthy cholesterol levels naturally. While memory related side effects for statins as a group are relatively low, there are differences among the major brands. If you are taking statins and believe you are experiencing memory or cognition problems as a result, it is important to talk with your doctor about trying a different brand as you may react differently when your medication is changed. Lipitor and memory loss - Approximately 2% of patients taking Lipitor (atorvastatin) have reported memory loss and/or cognitive decline. In nearly all cases, symptoms ceased when the drug was discontinued. Pravachol and memory loss - Some level of memory loss has been reported by 1% of those taking Pravachol (pravastatin). Flu-like symptoms are a more likely side-effect of this medication and still only effect 7% of patients. 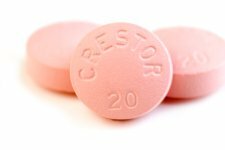 Crestor and memory loss - Muscle pain is the most likely side effect of Crestor (rosuvastatin), occurring in roughly 10% of cases. In contrast, memory loss is rare (under 2%) but is still a risk. Zocor and memory loss – Less than 1% of people taking Zocor (simvastatin) have reported short or long term memory problems. Lescol and memory loss – There is no significant finding of cognitive problems in patients taking Lescol (fluvastatin). Headache and indigestion top the list of adverse side effects for this drug, but even those affect under 10% of all users. Vytorin and memory loss - Vytorin is a combination of simvastatin and ezetimibe. The link between Vytorin and memory problems is statistically insignificant (less than 1%). In fact, even it's primary adverse side effects (headache and diarrhea) only affect 5% of patients.